My obsession with radicchio doesn’t appear to be going anywhere. Luckily, although she turns the colour of of one when she’s mad, my baby didn’t come out an actual radicchio, despite the amount that I ate while pregnant. Besides its fresh, subtle bitterness, crisp lettuce-y texture and nostalgia it brings for the outdoor markets on the cobblestones of Rome, there’s another reason that we eat a lot of it in our house. It’s the same reason that versions of this salad and this salad happen an awful lot at our place too. Radicchio, despite its fragile-seeming texture, is robust and lasts for quite a while in your fridge. I love cabbage for the same reason. And carrots, kohlrabi, beets, winter squash, really, the majority of winter veggies. 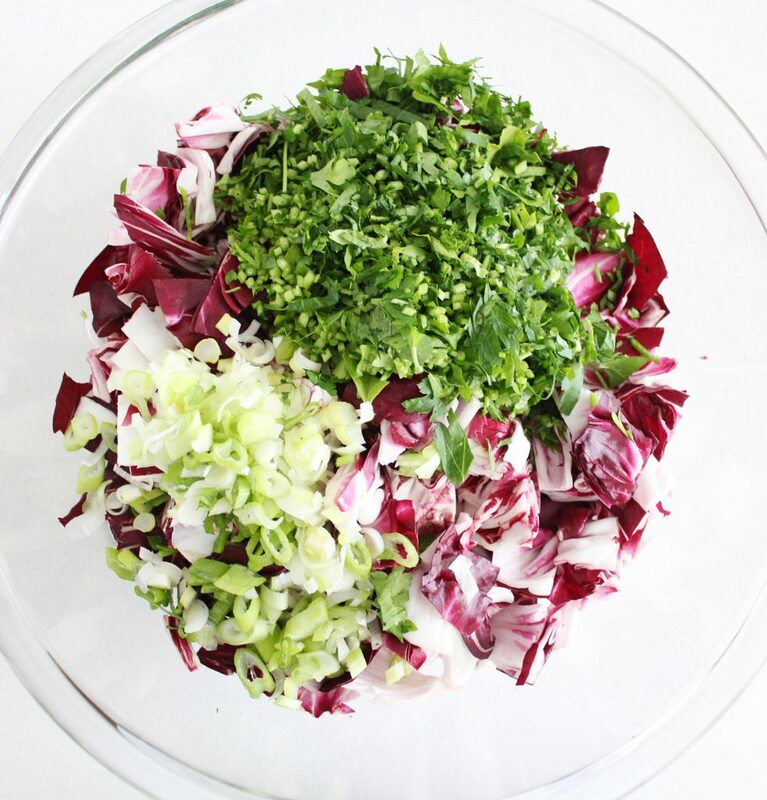 But thanks to its ‘fluffy-ness’ radicchio gives a more light-hearted vibe to a salad. Radicchio is slightly bitter, a sure sign that it’s something your body wants (because we are sweet enough) (the worst line ever, but in this case it’s actually true, we need the bitter to balance out all of the sweet foods that are far too easy to consume regularly). It contains inulin, which helps to regulate blood sugar levels (cancer will be mad about this) and is also high in potassium and beta-carotene and is great for your liver. 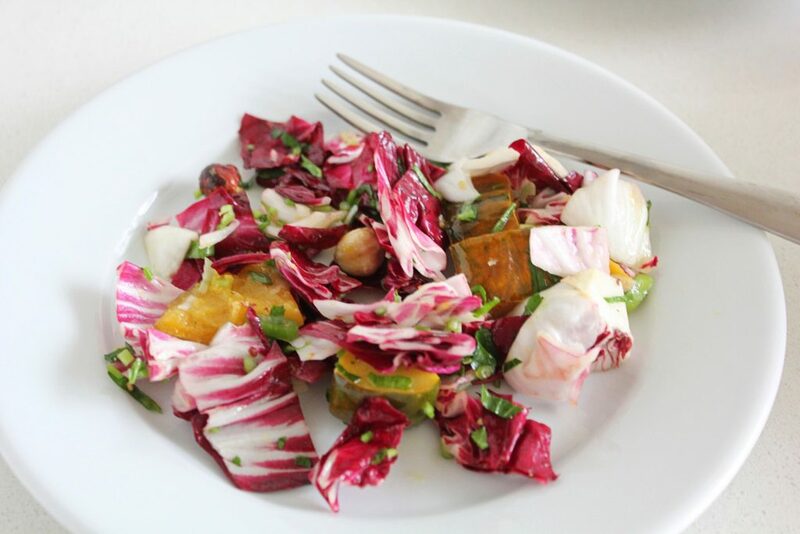 The simplest version of this salad is just the radicchio, lemon juice, olive oil, some garlic and a pinch of salt. 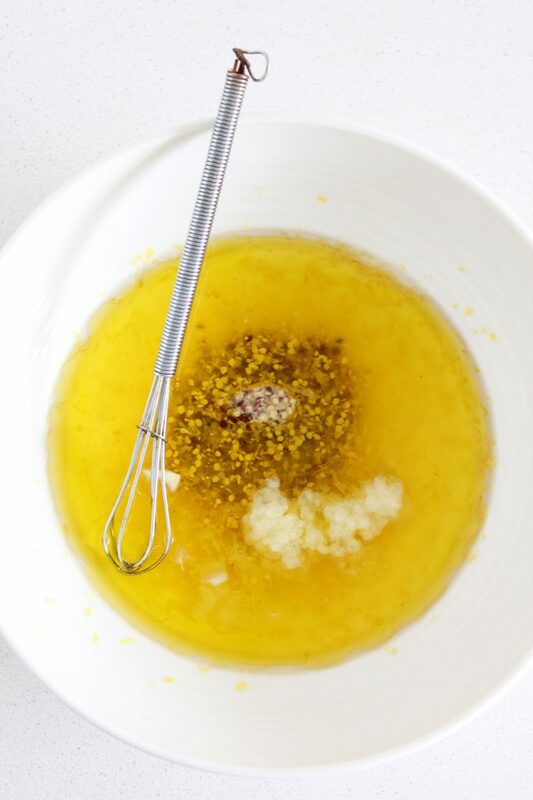 This version accompanies our meals at least twice a week these days, it aids digestion, balances out many accompanying flavours and is just far too easy to throw together and feel really good about. You could add in avocado (my husband’s fave version), cooked quinoa or buckwheat (love this too) or do exactly as we have done in this recipe and add hazelnuts (a really nice nutty balance) and a diced up and roasted acorn squash (or any winter squash). 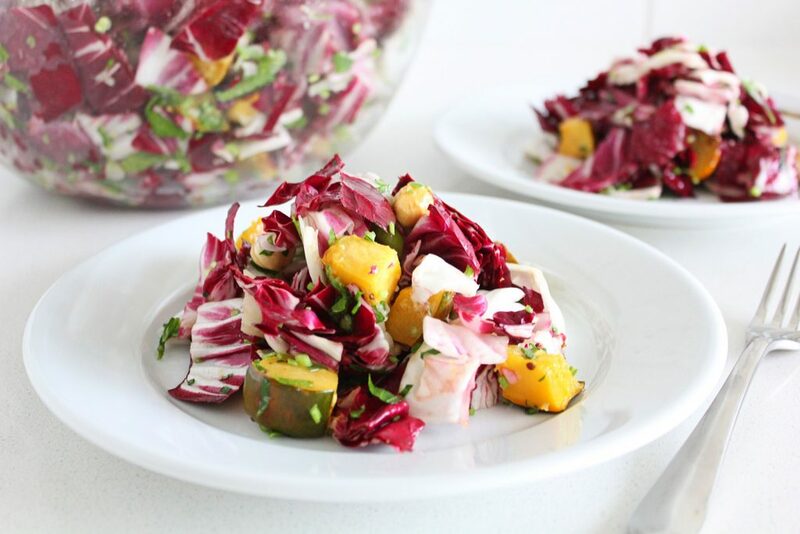 The beauty of this addition is if you aren’t yet on the love train for bitter foods, the sweetness of the squash dances well with the radicchio. We add it to the dressing by itself when it is still warm because it absorbs the flavours better this way. 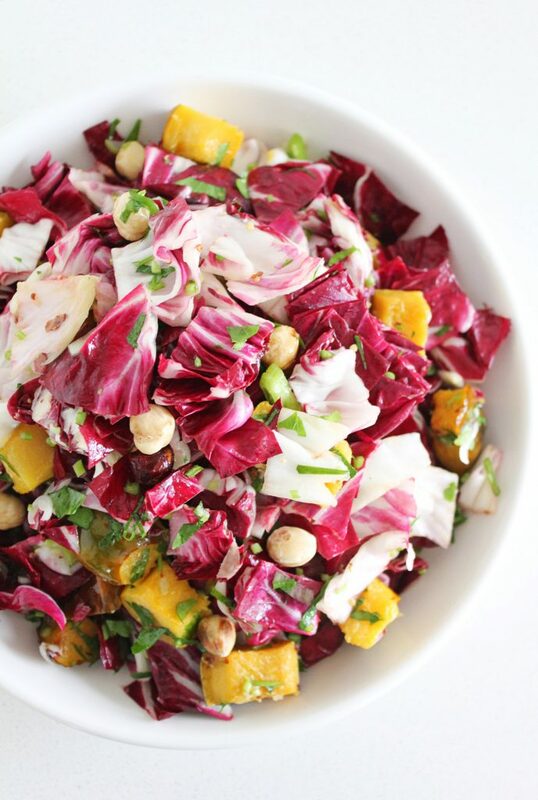 The squash also adds its own muscle including beta-carotene (it’s orange, that’s a sure sign), it is also warming, which balances out the cooling nature of the radicchio. 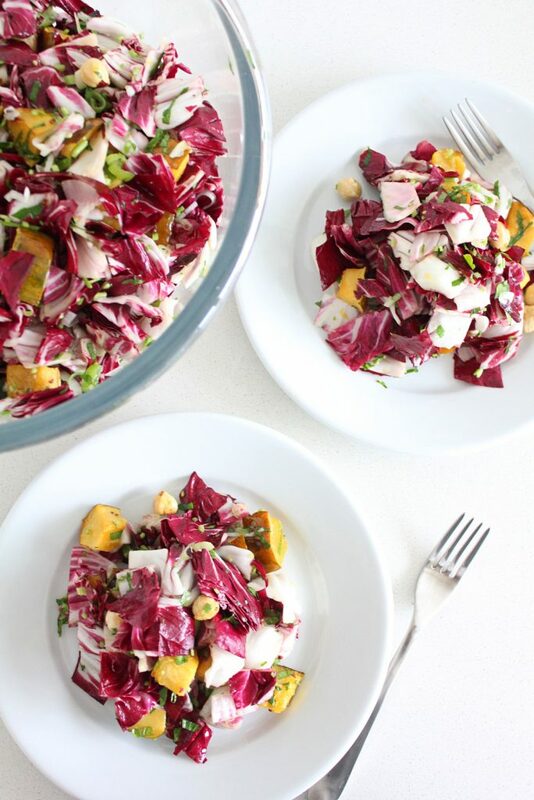 Speaking of warming, my favourite way to serve this salad is while the squash is still warm, which the robust radicchio can totally handle, making it a little bit less of a chilly shock to the system (I am writing this on a dreary cold day and the last thing I want is salad, but would totally go for the warm version of this) (I will probably have leftover oven-baked sweet potato fries though, the only thing currently in my fridge). 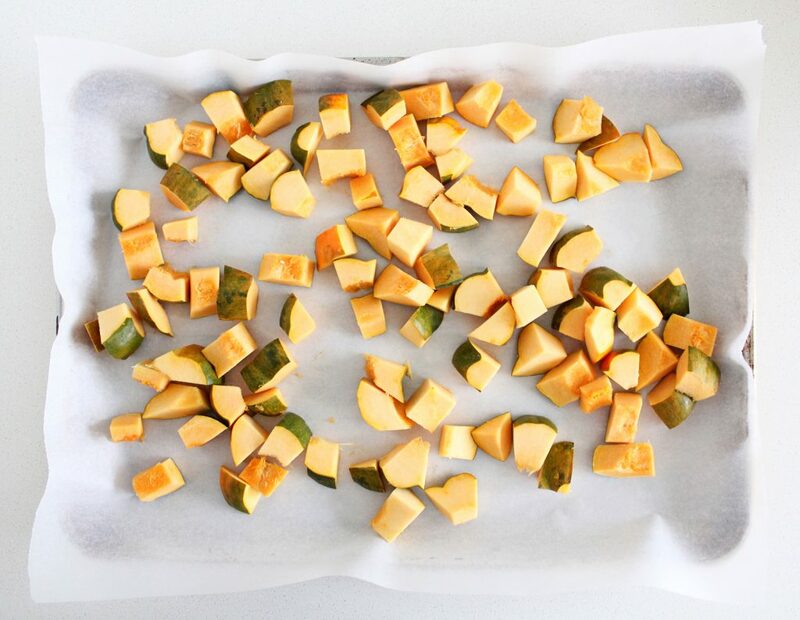 I don’t peel winter squash because there are nutrients in/close to the peel that are just there for the taking (same with the seeds, just like pumpkin seeds, don’t throw them out, they’re fresh, delicious, nutrient-rich and as fresh as they come!). 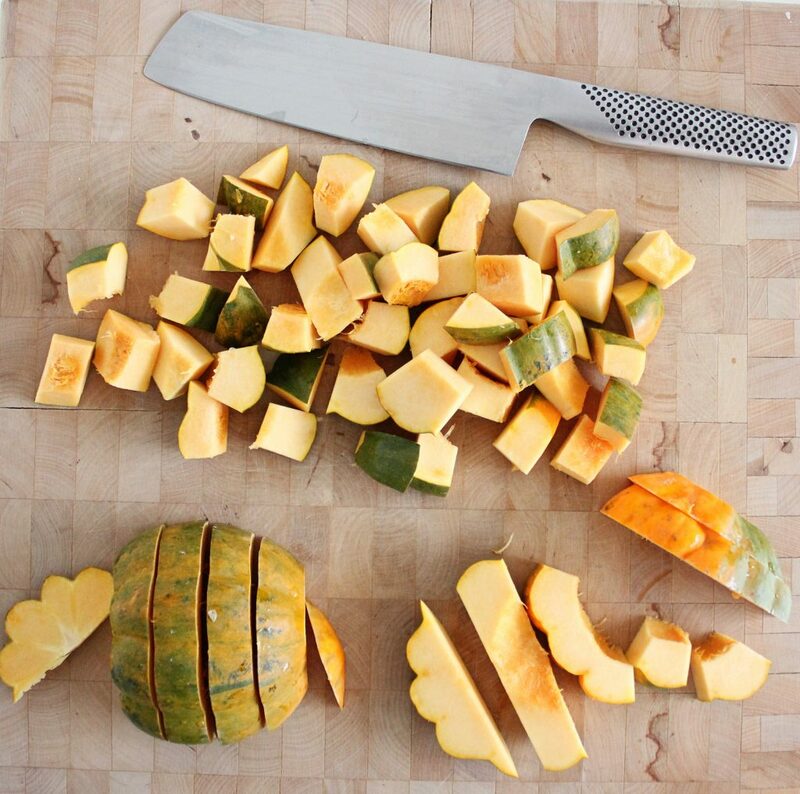 Do peel if your squash isn’t organic though. The peel does soften considerably once cooked but my brother in law picked all of the squash out of his salad the other night. I’m still not sure if it was because he didn’t like the peel or if he just doesn’t like squash (I was too tired to ask, or maybe to hear his response) but you’ll have to figure it out for yourself. Although, healthy reason aside, I would say that eating the peel wins over actually peeling an acorn squash before cooking it, at least for the one doing the cooking. I have received some enthusiastic responses for my recent recipes on here; apparently you’re loving the simpler recipes (which are a result of a tiny baby with no nap schedule) just as I received enthusiastic responses for the simpler-flavoured recipes over the last ten months (which were a result of pregnancy-related nausea/weird taste buds/cravings). I love hearing your feedback, but also, let me know what kind of recipes you would like to see more of. Mention it in the comments below or via social media or just send me an email. Thanks! 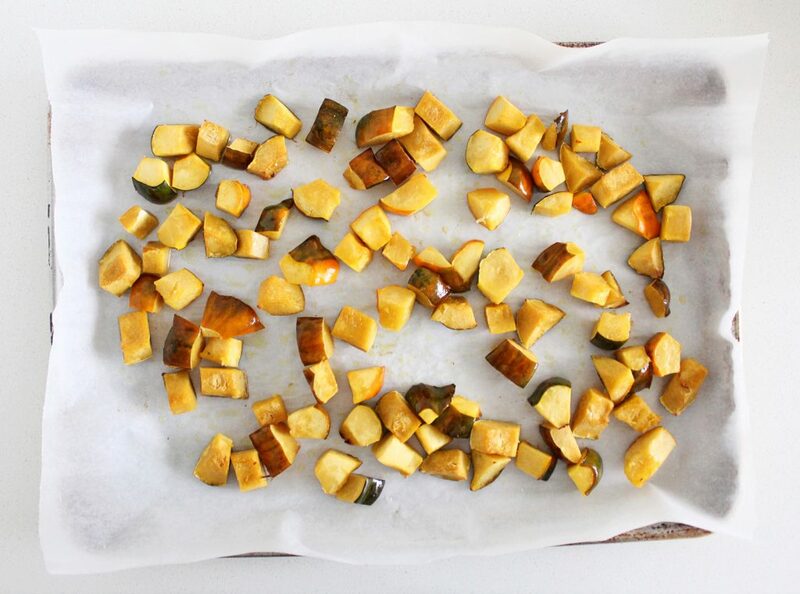 On a parchment-lined baking sheet, toss the diced squash in the melted coconut oil with a bit of salt and roast for 20-25 minutes or until the squash is tender (toss it around part way through for even cooking). Meanwhile, toss the rest of the salad ingredients in a large bowl and mix the vinaigrette ingredients together in a separate bowl. 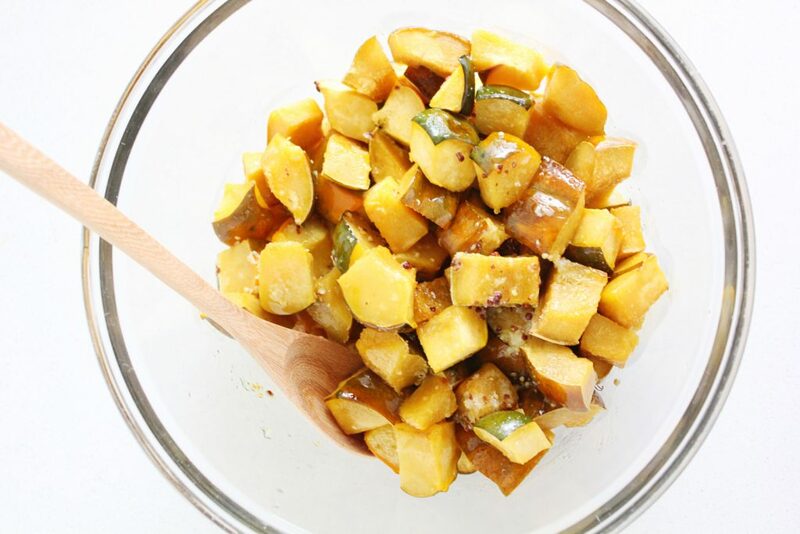 Once the squash is cooked, toss it with the vinaigrette first (it will absorb the flavours better when its warm) and then mix it with the rest of the salad. Serve slightly warm, room temp or cold. Thanks for the feedback Mer, I’m so glad you enjoyed it! Re the garlic, I like your subtle infusion idea. U could also try cooking it a little bit before adding it to the dressing (sauté it or roast it with the squash) it will be far more mellow this way. Made this for dinner. Delicious! I am not a garlic lover, as you know :-) so I just infused a couple of slices for a few hours in the dressing. It was really yummy. 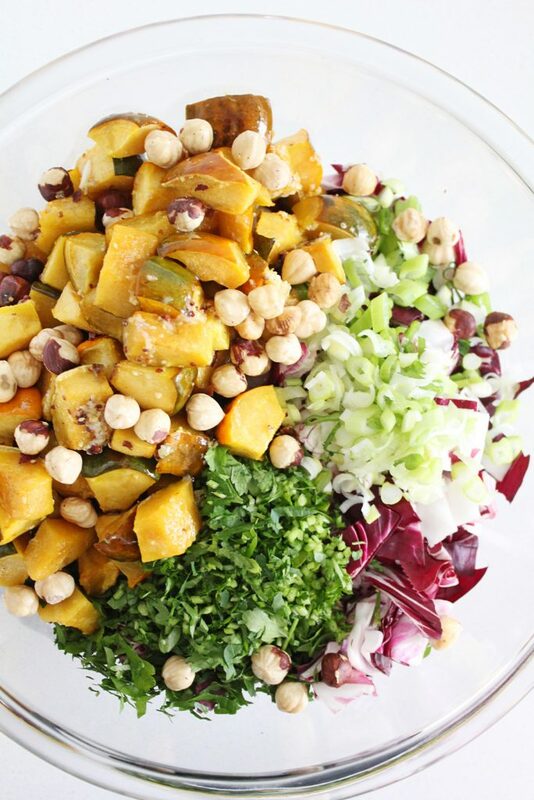 The sweetness of the roasted squash and the hazelnuts are perfect for the greens and the dressing ! This looks so good! It is a perfect recipe for this awkward time of year between food seasons.Winter root veggies are still what is mostly available at the farmer’s markets right now but I am starting to crave more Spring-like foods. So this recipe is a perfect blend of winter and Spring foods. I have a big gorgeous squash sitting on my counter that I’ve been wondering what to do with. And, there are gorgeous radicchio and endive greens at the market now too. Also, I too love having some simpler recipes in the mix. Sometimes it is fun to do one with lots of ingredients and sometimes it is fun to just ‘whip’ something up.